Billy Boyter, chef patron at Fife’s Michelin-starred The Cellar in Anstruther is changing things up at the restaurant this October by moving to just one nine course menu. From 4 October guests will be served a set menu designed to showcase the very best seasonal produce sourced close to the East Neuk restaurant celebrating, in particular, the fish and seafood brought into the village harbour. 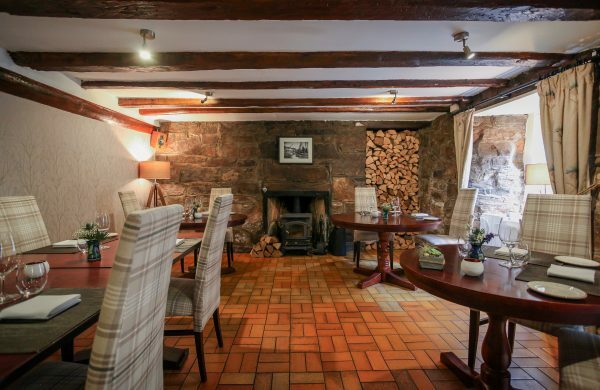 The restaurant, which has been on the site, a former smokehouse and cooperage, for over 30 years, was formerly run by legendary Scottish chef Peter Jukes. Following his death in 2013, Billy, who was head chef at Michelin starred Number One in Edinburgh, but who grew up 10 minutes away in neighbouring Cellardyke saw the opportunity to carry on The Cellar’s outstanding culinary heritage. He re-opened it in 2014, retaining the name and achieved a Michelin star the following year. Since then Billy has made The Cellar his own and retained the accolade from Michelin through his “delicious, deftly prepared dishes”. His new menu offers seasonal Scottish produce and locally foraged ingredients from the local coastline and countryside that are thoughtfully brought together on the plate with a modern touch.